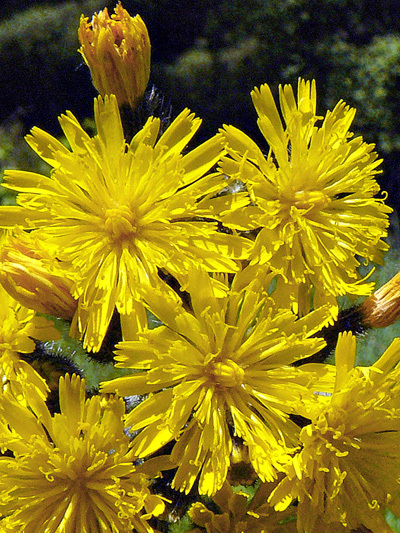 The most common of our hawkweeds.. This introduced can become very invasive. Differs from other yellow hawkweed by the absence of leaf on the stem (basal rosette leaves only) and this stem is provided with very apparent hairs turning black near the top.